While the non-Orthodox or Reform Jewish population is stabilizing or even decreasing, the Hasidic and Orthodox Jewish populations are radically increasing. This can be attributed to several factors. Firstly, Hasidic and Orthodox Jews typically marry at earlier ages than their Reform Jewish counterparts. The average ages for marriage within both Hasidic and Orthodox communities are between 17 and 25, though most are married between the ages of 18 and 21. Furthermore, Hasidic and Orthodox families tend to be larger. 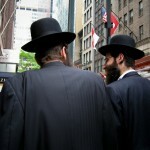 For example, the average Hasidic family had about eight children in 2009. Such a demographic explosion can be visibly seen in New York State and New York City in particular. While Orthodox and Hasidic Jews account for 32% of Jewish adults in New York City, their children account for 61% of all Jewish children in the city. This indicates that both Orthodox and Hasidic Jews will be far more prevalent in the general Jewish population in the near future. However, such an increase could also lead to a change in political affiliations among the general US Jewish population. Since Orthodox and Hasidic Jews are very conservative in their personal, religious, and political philosophies, chances are that this could mean a turn in how the majority of Jews in America vote in upcoming elections. Generally speaking, Reform Jewish populations have voted for more center-left or liberal politicians from the Democratic Party. But with their numbers stabilizing or dwindling, the likelihood for the political shift among the majority of American Jews could be seen in the near future. With Orthodox and Hasidic Jewish populations rising, the chances of their votes going towards Republican or conservative candidates could change the outcomes in many elections in traditionally “blue” states like New York. Regardless of what actually happens, the Orthodox and Hasidic Jewish populations are certain to make a greater impact on US politics in the future.